What exactly does live in the subway tunnels of West Street? Just what is lurking in the tunnels of the Glasgow Subway? A lost child, a feral ghoul or the product of an over worked imagination? After hearing of a strange occurrence at West Street Station, I discovered a ghost story that extends through Glasgow’s history, but may just be very much alive today. Whatever it was that was spotted, West Street station will forever unsettle me slightly after this mysterious sighting. Coming out of Hillhead Station a few months ago I overheard a lady saying “Gina swears she saw a wee boy on the tracks the other night”, so as any nosey so-and-so would do upon hearing something like that, I did my best to eavesdrop for the short while we were headed in the same direction. I learned that this had happened at West Street Station, and that the mysterious boy had apparently scurried off through the tunnel towards Shields Road after being seen. As you’d expect I was more than a bit taken aback by the story and I couldn’t get the image of it out of my head. Clearly she must have been mistaken, one too many late nights at work catching up with her or something. But nonetheless, I was intrigued. Something didn’t quite sit right with me about the whole thing. Naturally enough though, I eventually forgot about it. Now you might be asking, why write about this now if it happened a few months ago? 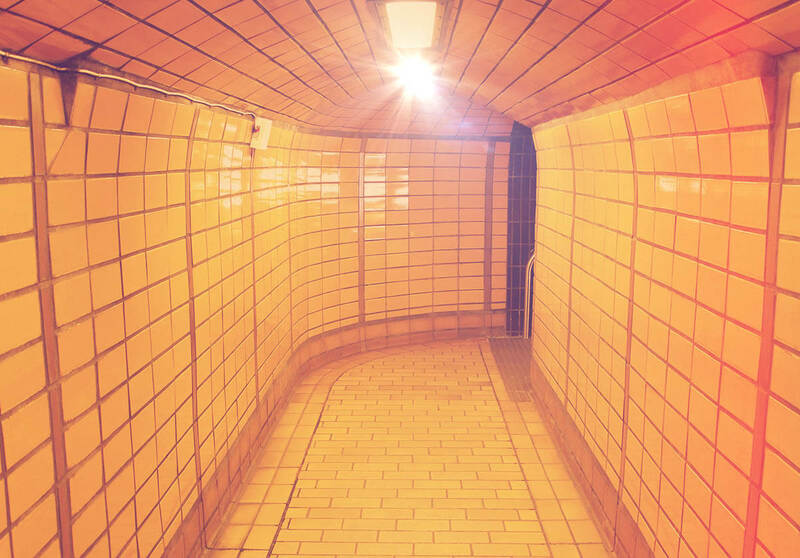 The answer is that just the other day, while reading about the history of the Glasgow subway, I came across a few mentions of various ghost stories that surround our subway. Given that some of the construction of the subway involved the fairly grisly task of clearing what had been areas devoted to plague victims, there were bound to be a few. What piqued my interest though was how often the stretch of track between West Street and Shields Road was mentioned. A menacing orb of light, the ghost of a grieving widow and various other strange occurrences were all attributed to this area repeatedly. However, one story above all caught my attention. Dating back to the 1950s, was the story of a ghoulish looking child who many workmen at the time claimed to have seen in the tunnels. According to the legend, he would always be seen eating ravenously from a hunk of meat, before disappearing into the tunnel. Workers claimed that although resembling a boy from distance, he was part animal. This lead to the speculation that he was some kind of demon that haunted the tunnels. Outlandish as the story was, given what I’d heard just a few months ago, I couldn’t help but wonder, had ‘Gina’ encountered the ghoul? While I don’t necessarily believe any of it is true, I would actually encourage people to keep up the stories and the myths whether they believe them or not. They’re part of what gives our subway the unique character it has and only adds to its rich history. Have a look into what kind of things make your station unique, and be proud of them. Chances are that your station has a few spooky goings on as well. In regards to the West Street ghoul, I’ll certainly be keeping a lookout because maybe, just maybe, there’s some truth to the legend this time. The tunnel to the station platforms at West Street station. A well travelled gentleman with connections all across the globe. He enjoys to write from time to time.